Goodreads: Harper Lee Wilcox has been marking time in her hometown of Kitty Hawk, North Carolina since her husband, Noah Wilcox’s death, nearly five years earlier. With her son Ben turning five and living at home with her mother, Harper fights a growing restlessness, worried that moving on means leaving the memory of her husband behind. Kritters Thoughts: A book that intrigued me from the minute I was pitched it to review. I am a wife of a police officer and I always wonder how close and far apart the life of a wife of a military personnel was compared to a police officer. I am not sure that I have had my eyes open and looking, but I was unaware of any other book that solely looks at life through the lens of a military wife. The main narrator is Harper Lee Wilcox and her husband died serving in Afghanistan and she is still trying to put her life in order after his death. The story has two time lines, the current moment where she is doing the single mom life and then the past where it tells of the story of her meeting her future husband and their relationship. I liked getting that viewpoint of the past coming to meet the present. The thing that I loved most about this book was the honesty. 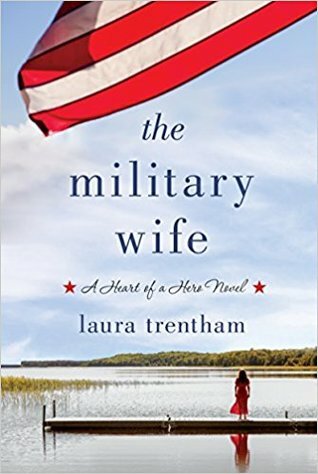 This book gave a few viewpoints of different military wives with husbands with different reactions to the war and the honesty of each of these women just felt so real and raw. I loved getting to know each of them and it felt as though I could be friends in the trenches with these ladies. I loved this book and would love to read more books like this that expand my worldview and giving me a honest perspective of a life of another person.